Backups using Shadow Volumes should note some of its limitations: you'll need to have enough free disc space to store another copy of your largest file. For example, say you downloaded a 10 GB installed for a new game you'd need to have another 10 GB of free disk space for Window's Shadow volume to back it up. With the move to SSD's, this could be an issue in some cases. 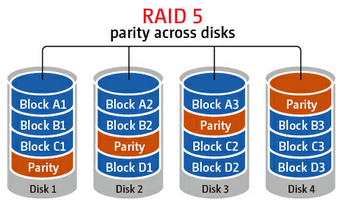 I do agree that RAID IS NOT A BACKUP but when backing up to a NAS, the NAS should be using RAID 1/5/6 etc. A paragraph on the introductory page does go into these points but I've always felt the need to discuss backup reliability in this context. It helps clear up potential questions like 'if RAID isn't a backup, why are you backing up to RAID storage?' The answer is in the same paragraph as RAID projects against disk failure. Just in my experience, I typically need to hammer in the idea of what 'what good is backing up to a hard drive if a hard drive dies?' as the case for RAID 1/5/6 on a NAS. This idea can be obtained from the context of the article but I've found this needs more emphasis in my experience. For the built-in backup options for Windows 7/8 and OS X is there a way to limit the size of the backup without having to partition such that multiple computers can backup to one drive without directly competing with each other for space? Have to say...I've been running Windows Server Essentials 2012 since I was sad about WHS going by the wayside, and I love it. I'm running it in a VM on my ESXi server, it backs up all my clients with no issues. Then the WSE backs that up to a different storage pool (Solaris/ZFS), and then that gets kicked off-site.